Could Ultrasound Prevent Rheumatology Patients from Receiving Disease Treatments? This is the 10th in a series on musculoskeletal ultrasound use in people living with Rheumatoid Disease (PRD). This is a critical topic for PRD that could have enormous impact on clinical care – positively or negatively – in light of results from two recent studies. Musculoskeletal ultrasound (MSUS) can add significant information to an assessment of rheumatoid disease activity. The question from many patients has been: How do I gain access to MSUS and an operator who is trained to use it properly? There are few in the United States, so that’s a good question. However, rheumatology professionals are considering other questions. Before practices face the burdensome expense of a power Doppler ultrasound machine and time for training to use it properly, the profession itself must establish what role ultrasound will play. Two recent studies offer thought-provoking conclusions. And perhaps caution for policy-makers. A Scottish study added MSUS of a “limited” set of joints to a DAS28 [disease activity measure that includes 28 swollen joints, 28 tender joints, an erythrocyte sedimentation rate (ESR) blood test, and a patient’s "global” estimate of her own health on a scale of 1 to 10]. What did the investigators make of the majority of patients (67%) that had “moderate disease activity” according to the DAS28, but fewer than 2 swollen joints? This group had elevated mean ESR, tender joints, global health, and pain scores. Doctors decided not to escalate disease treatment since the MSUS findings supported the low swollen joint scores. The DAS28 score was attributed to fibromyalgia, “fibromyalgic” RA, or another non-inflammatory process. Case closed, right? MSUS is the last word, and the people with few swollen joints during the exam obviously don’t have active disease. Right? 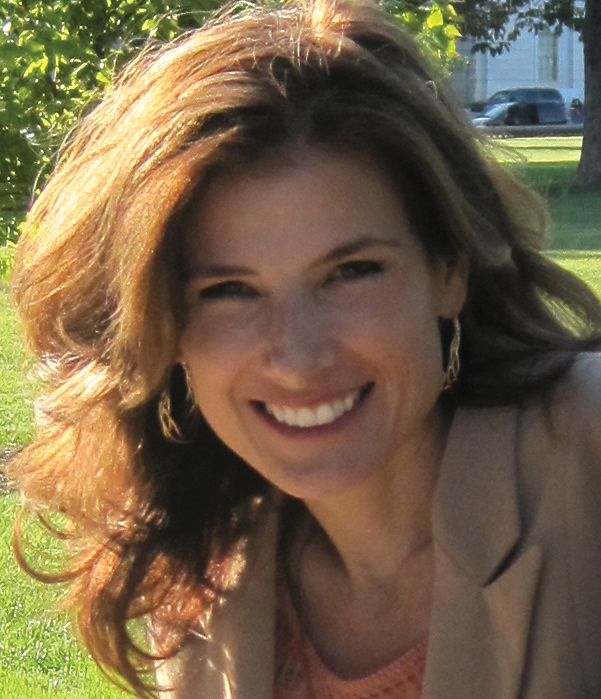 A study presented at the 2013 ACR meeting ld unravel the assumptions of the former one. 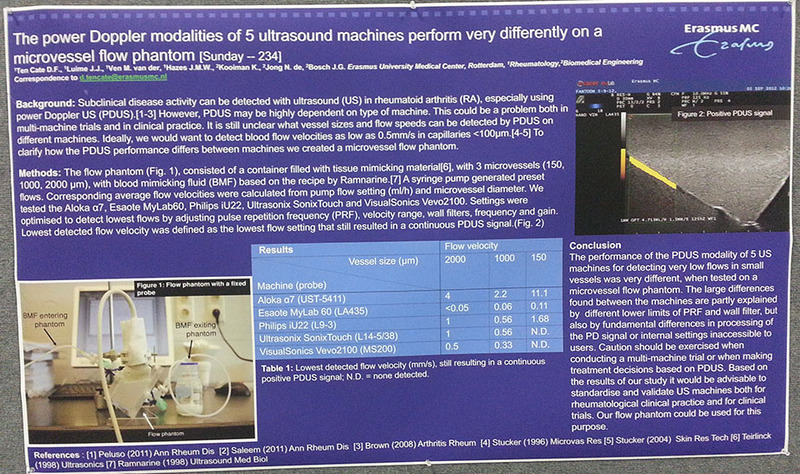 “The power Doppler modalities of 5 ultrasound machines perform very differently on a microvessel flow phantom” compared the ability of 5 ultrasound machines to detect blood flow indicative of Rheumatoid disease activity. The investigators created a mechanical flow phantom to mimic blood fluid and provide a defined flow to be measured. “Large differences” were found between the machines’ ability to detect low flows in small vessels. 1) Some of the differences were attributed to “fundamental differences in processing” of the signal or internal settings not accessible to users. Therefore, even well trained users would not be able to adjust machines to accurately detect blood flow. 2) The authors (who have published other well-known MSUS studies) advise caution when making treatment decisions based on PDUS. 3) The study raises doubt about results of research trials which may have used multiple US machines. 4) The investigators recommend standardizing and validating ultrasound machines for clinical use. The audacious claims of the first study should alarm PRD who have longed for a “test” to confirm the Rheumatoid disease activity they experience. MSUS might not be that magic bullet – at least not unless it’s the right MSUS machine in the right hands. Understanding the common discrepancy between patient and rheumatologist understanding of disease activity is critical to proper treatment. Next time, we’ll take a fascinating peek behind the scenes at how doctors deal with that. It‘s important to remember that any good tool, used the wrong way, can become a weapon. Do no harm should preclude certain approaches from becoming standard practice. Edit: 8:53 am Added sentence about RPF which had been inadvertently deleted in editing. The significant differences among 5 machines, presumably with same operator, is really worrisome. Having had numerous cardiac US studies, I would presume that operators can be trained to a standard level of competence. And I would presume that the same procedures used to standardize current US machines could be used to standardize machines for rheumatology studies. It will take some research and industry cooperation to make this happen. Physicians, like civilians, look for easier ways to solve problems. Hopefully this won’t become ingrained as the “always accurate” means to a diagnosis. I’ve dealt with rheumatologists who diagnose by the numbers on inflammation tests and it’s really frustrating dealing with closed minds. As a scientists myself, I have trouble understanding why specialists behave that way. The US standardization problem discussed in this post only applies to musculoskeletal ultrasound, which is not done much in the USA. I talked to yet another ultrasound specialist (cardiac) last week who had no idea MSUS was even done. She said she’d have no idea how to go about it – and of course their machine is not intended for it. So you’d have to dig deeper to see if it’s an issue with cardiac studies. I do think you have a good point that MSUS has already begun to get the “always accurate” reputation – when it’s quite a variable tool. Apparently there are many opportunities for false negatives (machine capabilities & operator error) & with operator error could even produce a few false positives. Those doctors who use blood tests to diagnose or measure disease activity need to be corrected within their own industry/profession. We hope patients will find better care & we try to facilitate that, but I wish the rheumatologists’ training were more up to date. Even some recent graduates have outdated notions. Next time we’ll talk more about your last question – why they behave that way. But ultimately, it’s what makes sense to them with their training & the lack of information they have. I’m so disappointed that what looks like progress can turn on us and leave people without good care for yet another reason. And these rheumatologists who do not modify treatment because of the lack of ultrasound validation will likely feel that they are more advanced by virtue of using US so will likely be influencers. 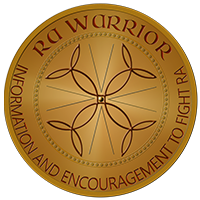 Sorry if I sound pessimistic but I see so many stories from people who could have a better life with RA. I admit that I also see people discussing all the trouble that their rheumatologists take to get them back to better health. I was also interested in your post about PCORI. The concept is so good. You really accomplish a great deal Kelly. I know it’s not easy to go non stop all the time that you are able to. Another thing I wonder about is back pain in RA that is not lumbar or cervical. I don’t think that any doctors feel it would have a connection to RA. What does your survey say? I have been recently diagnosed with fibromyalgic RA. Sadly, no matter what meds I have, my joints are always swollen to one degree or another. To make matters worse, the discs in my spine swell for no reason that can be seen. MS has been ruled out, so the doctor will do more tests but he feels it is the RA attacking my spine. Abby, you’re the first one I’ve met to be given what’s apparently a recently-conceived diagnosis: “fibromyalgic RA.” Your swelling should have led them to diagnose RA, not fibromyalgia – that’s one of the key distinctions they usually make. Do you know if the doctor agreed with you about the swelling? Have you seen the doctor’s notes? Just curious if you’d like to share. But lack of response to treatments does lead some doctors (depending on their training) to add another diagnosis. 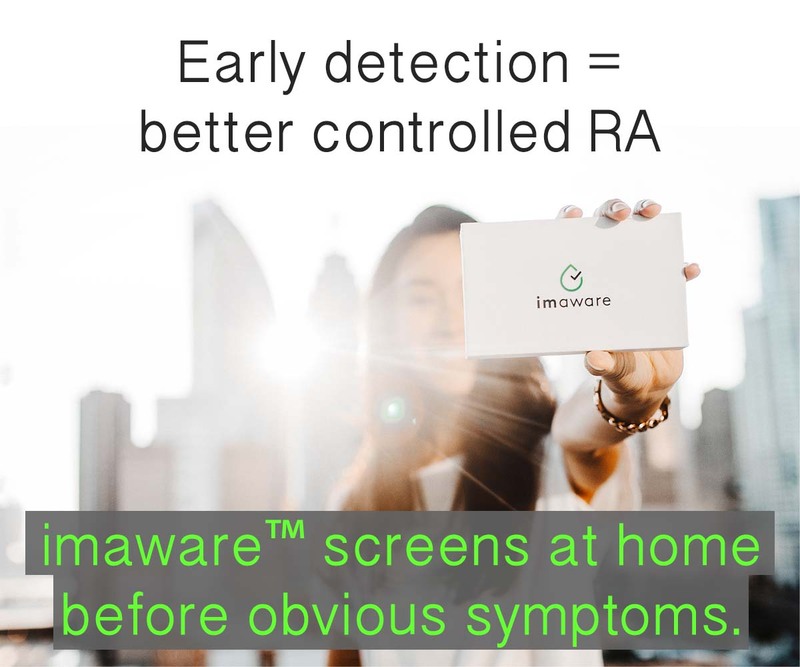 Disc disease can be related, or considered an autoimmune condition (https://www.rawarrior.com/rheumatoid-arthritis-news-articles-volume-2/). I haven’t seen his notes. He does say RA because all the joint and tissue swelling/irritation is bilateral. The joint swelling, soft tissue swelling does not respond to the fibro meds, but the prednisolone, cortisone work temporarily. I can’t take regular otc NSAIDS, even at a high dose. My body does not respond. He said fibro because of the nerve pain, but there is no reason, bone wise, for nerve pain. The soft tissue swelling, though, is another story. He has been my doc for over a decade and has been treating me over the years through all the issues of RA and fibro. Since I turned 40, things have gotten out of control. He has me on 1200mg Ibuprofin (600mg twice a day), 4 mg prednisolone, a tricyclic anti-depressant (the others have such horrible side effects he won’t prescribe them), pain meds and muscle relaxers, the latter two low dose. He wants to wean me off the steroids and start methotrexate. I have bursitis in both hips, my knuckles are so swollen I can no linger wear my wedding rings, TMJ, spinal arthritis…along with various tendonitis flares. If he weans me off the tryptociclene, I cannot do anything. The pain is debilitating, and everything is in severe spasm, hence the fibro. I have a lot of joint injuries and the MRI’s show mild bone damage but it is mostly tendon and ligament damage. Since I seem to be responding to the daily steroid, he is positive that with the soft tissue damage, it is RA…AND fibro, because I can’t function without a tricyclic. Thanks for the link. I am rather interested. I know they seem like a lot – but the ones you mentioned are pretty low doses for rheumatoid. The “therapeutic” dose listed for ibuprofen is twice that and 4mg is the low dose. Neuropathies are very common in rheumatoid because swelling inside of joints, including spine, can put pressure on pathways. It’s also common to take muscle relaxers, especially at night. From what I’ve read, the steroid is low. The Ibuprofen is high, but a LOT lower than a previous doc who had me taking 3200 mg a day with 100 mg of Prednisone. I thought I was going insane with that high of a prednisone dose, plus I would only sleep maybe a couple of hours every other night. This doc, that I have had for so long agrees with me that anything higher than 10mg of prednisone daily is a bad thing, because of the psychological side effects. Those are a wakung nightmare. We’ll talk more the first week of December. Maybe wean me off the prednisolone, start methotrexate or see if 8mg of prednisolone will be better. I will know more then. To me, this discussion is a non-issue. It saddens me that people are discussing the possibilities of imaging as those with rheumatoid disease continue to have their treatment compromised needlessly. The concerns about advanced imaging in rheumatology have been successfully resolved in many parts of Europe for more than a decade. The use of ultrasound or MRI is the standard of care in some places. EULAR has provided guidelines on the use of advanced imaging in rheumatology. Published guidelines on standardized practices and required equipment is also readily available from the Targeted Ultrasound Initiative. North America simply needs to CATCH-UP !!!! American College of Rheumatology Report on reasonable use of musculoskeletal ultrasounography in rheumatology clinical practice (2012). Arthritis Care & Research, 64(11). Doi 10.1002/acr.21836. http: //www.rheumatology.org/practice/clinical/quality/Reasonable_Use_Of_MSUS.pdf. Kubassova (2009) MRI and Ultrasound in Diagnosis and Management: Ann. N.Y. Academy of Science. 1154: 207–238. doi: 10.1111/j.1749-6632.2009.04392.x C _ New York Academy of Sciences. Saleem (2012) Can flare be predicted in DMARD treated RA patients in remission, and is it important? Annals of the Rheumatic Diseases, 71(8), 1316-1321. Note: as moderator, I’ve disabled the many links in this comment due to concern for a Google penalty since the robots often read this many links as spam. The differences between machines extends throughout medicine. My endocrinologist doesn’t care which lab I use as long as I stick with the one I started with. He is more interested in tracking change than in absolute numbers, and says that different labs give quite different results. I’ve heard the same things about DEXA scans: always have it done on the same machine. They’re all different, and it’s the changes you really need to see. This is all well and good, except. Except when the intital reading is false enough to delay or change a diagnosis. Except when you have a doctor who goes by the test numbers and not by what the patient says. Except when the doctor has limited experience with the test and the testing center and doesn’t know that this one always reads too high and this one too low. The scale at the grocery store where they weigh our apples and salmon and the meters at the gas pumps are required by law to be accurate. They are tested frequently by regulatory agencies. Don’t we deserve the same oversight of the machines that supposedly measure our health? I don’t think we need to be concerned about ultrasound used in cardiac testing since the blood vessels are so much larger of course I’m not really qualified to comment on that but that’s just my thoughts. I think that what’s going on with the ultrasound testing for RA is that the vessels and structures involved are smaller and different. I’m stunned by the variance here.it’s so large that without defining what equipment you are using I don’t know how you could evaluate the results. As an accountant, I would throw these out and demand better testing. It’s dreadful. I can’t see how any scientist would accept these variances.